Our training wheels are designed for the first road tests on the bike. Gives your child and the beginners the best start to gain their balance without fear. The support wheels are individually adjustable & easy to install, universal fitting all 12" - 20" Wheels. 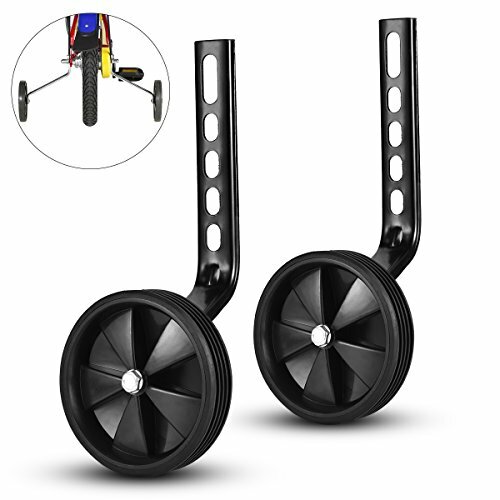 Our training wheels are made of high-quality plastic, providing the necessary security and stability. The bracket arms are made of strong, 3mm thickness steel, which ensures extra stability and safety. Our black, properly size wheels could make every kind of bike looks fantastic, stylish and gorgeous.